After the Android P DP1 hit, a few people reported running into difficulty unlocking their bootloader if it wasn't already prior to flashing the developer preview. Turns out, there is a fix, and you don't have to wipe your device. Simply disabling whatever lockscreen security setting you might have is enough to fix things. The problem, in this case, is pretty simple. 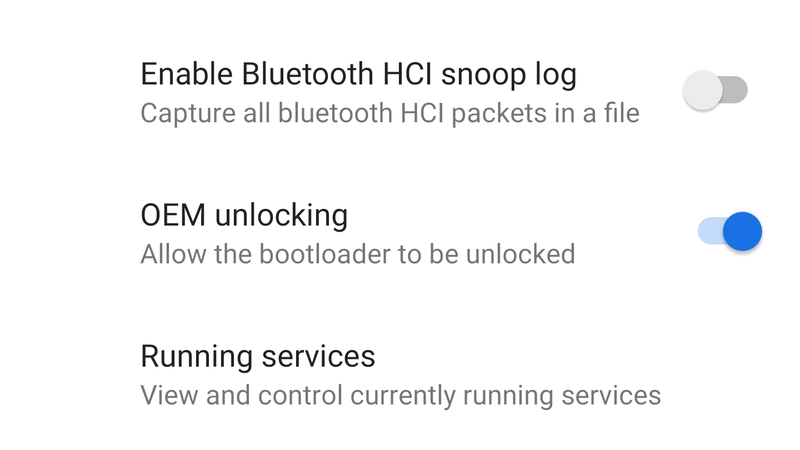 The "OEM unlocking" toggle in Developer options that governs your ability to unlock the bootloader in Fastboot might appear to work, but it actually just bugs out if you try to use it. After verifying your security details, it just toggles itself right back to off. At the time, we suspected that a factory reset might be required to fix things. Google had another similar problem that also required a full wipe as a fix. But it turns out all you need to do in this case is disable your lockscreen security (i.e., the pin, password, or pattern that protects your phone). We can confirm that, once the security is disabled, the toggle will work as expected. You can then re-enable whatever protections you previously had in place.